I am supporting a fellow crafty friend who sells amazing dog and cat collars, dog and cat leashes, and pet accessories at Zamora’s Pet Accessories, check out the Facebook page here. 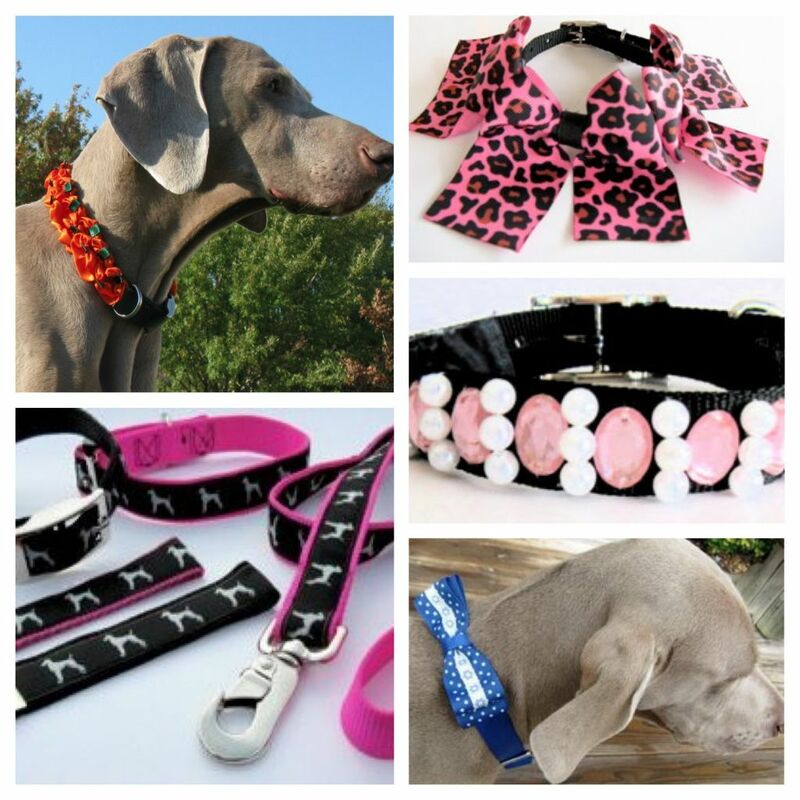 Zamora hand makes all of the collars, leashes, pet accessories, and t-shirts. They can be customized with any fabric, rhinestones, spikes, beads, pearls, bling, bows, and ribbons. Zamora is a volunteer at the Weimaraner Rescue of North Texas and Greyhound rescue and donates her accessories, time, and love to the dogs.